Power Engineers and Consultants ( Regd.) is a group of qualified engineers led by Mr. PK Maheshwary who is degree holder (electrical engineering ) of 1972 batch from REC. 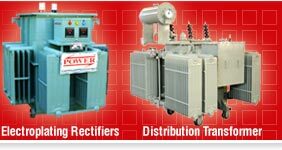 THE PEC has been in operation in the field of power transformers, automatic voltage controllers, special purpose transformers, voltage transformers, voltage regulators, power controllers, automatic voltage regulators, variable voltage regulators, electroplating rectifiers, static transformers, distribution transformers, and other electrical machines for years. The systems are designed and supervised by a team of qualified engineers having more than 35 years of experience to provide best quality equipment leading to total customers satisfaction. We have more than 4500 installations around the country and also exported numbers of equipment to U.S.A., U.K., Africa, Middle East Countries upto 4500 KVA. "It's our mission to strive for synergy between technology, systems and human resources, to produce products and services that meet the quality, performance and price aspirations of our customers. While doing so, we maintain the highest standards of ethics and social responsibilities." We are leading manufacturers and exporters of voltage regulators, automatic voltage regulators, variable voltage regulators and automatic voltage regulator generator. In a quest to ensure complete customer satisfaction, we provide excellent customer service to our customers. We also offer customer friendly technical assistance for new installation where highly qualified engineers will attend your queries. We exports wide range of voltage regulators like automatic voltage regulators, variable voltage regulators, automatic voltage regulator generator, high voltage regulators, variable voltage regulators, switching voltage regulators, generator voltage regulators, ac voltage regulators, automotive voltage regulators, dc voltage regulators. We are the manufacturers and exporters of quality products in the industry. Quality for us is not just a word that defines our product but our capability to achieve complete customer satisfaction. Working with the prime focus of achieving complete customer satisfaction, we work in coordination with our clients to conceptualize their idea and manufacture machines exactly as per their requirements. 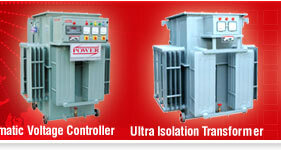 We also provide our customers excellent after sale service for the maintenance and long service life of the machine. Equipped with the most sophisticated technology and competent engineers, we have innate capability to meet every requirement of our esteemed customers. 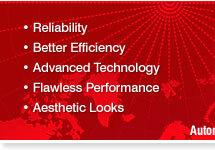 Our R&ampD team has always kept us ahead by developing innovative products for usages in various industrial applications. Committed to providing the best solution, our R&ampD team carries out intensive research for developing components of varied configurations as per the requirement of our clients. Our R&ampD department aims at developing cost effective and improved performance products to meet the ever-changing requirements of our customers. In order to update our products and services with changing technological developments and to receive feedback from our clients, we organize various types of programs like seminars & exhibitions on a regular basis. Through our programs, we discuss the ever changing requirement of our customers so as to design & develop products exactly as per their specific needs. The discussion also includes ideas from the top management regarding the use of resources to give best value to the clients. We have also participated in many exhibitions held in Argentina, South Africa and various cities of India. MR-10, Near Bypass, Indore 452010. Madhya Pradesh. India. Rudrapur. Udhamsingh Nagar. Uttarakhand. India.